Your toothpaste should have an ADA seal of approval on the label to ensure that it will clean your teeth effectively. Toothpaste is available in a paste or gel form, and a variety of flavors to suit your preferences. Toothpaste should have three main ingredients: abrasives to scrub away plaque and polish your teeth, antiseptics to inhibit bacterial growth, and fluoride to keep your enamel strong. Some toothpastes also cater to individual needs, like tartar control, whitening, or sensitivity. You should floss your teeth at least once a day. Flossing helps remove food particles that are stuck between your teeth. Flossing also helps provide circulation to your gums to keep them strong and fight against gum disease. Dental floss can vary in thickness and material. 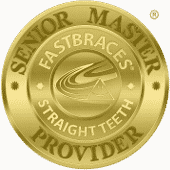 You want a floss that feels comfortable when sliding between your teeth. Many flosses are made of silk so they can slide smoothly between teeth, and others have slight ridges to help catch food. If you have trouble flossing, you could also consider a flosser tool to make it easier. 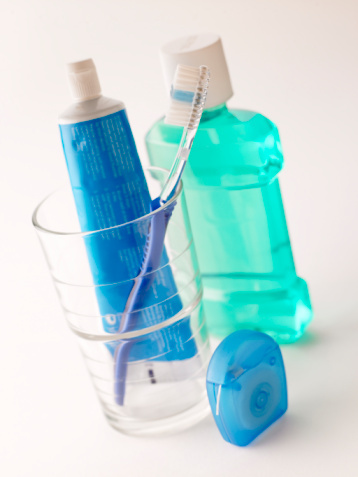 Mouthwash helps to kill any extra bacteria hiding in your mouth that your toothbrush and floss cannot reach. Oral rinses come in a variety of flavors that can help freshen your breath. When choosing a mouthwash, look for the ADA seal of approval and find one with little to no alcohol content. Some oral rinses have special ingredients to fit your dental needs, like fighting gingivitis, whitening teeth, reducing dry mouth, and relieving other oral conditions. Ask Dr. Ganjoor which dental hygiene products suit your needs. And remember, proper hygiene behaviors at home will help protect your teeth, but you still need to visit Dr. Ganjoor for your professional cleanings every six months. Contact Celina Family Dentistry at (214) 851-0130 to schedule an appointment. We welcome patients from Celina, Prosper, Gunter, Frisco, Anna, Pilot Point, McKinney, and surrounding communities.